Warning: today’s blog contains absolutely nothing about software recording, mic placement, strumming patterns or chord substitution! Started a new job this week. Yep. Retail management. Better pay, longer hours, and staff discount on junction boxes, 12 volt transformers, twenty mil grommets and switched fused spurs. To be honest, it’s kinda the same job as I had last week, working in my friend’s electrical shop, only now I’m responsible for… well, everything I guess. 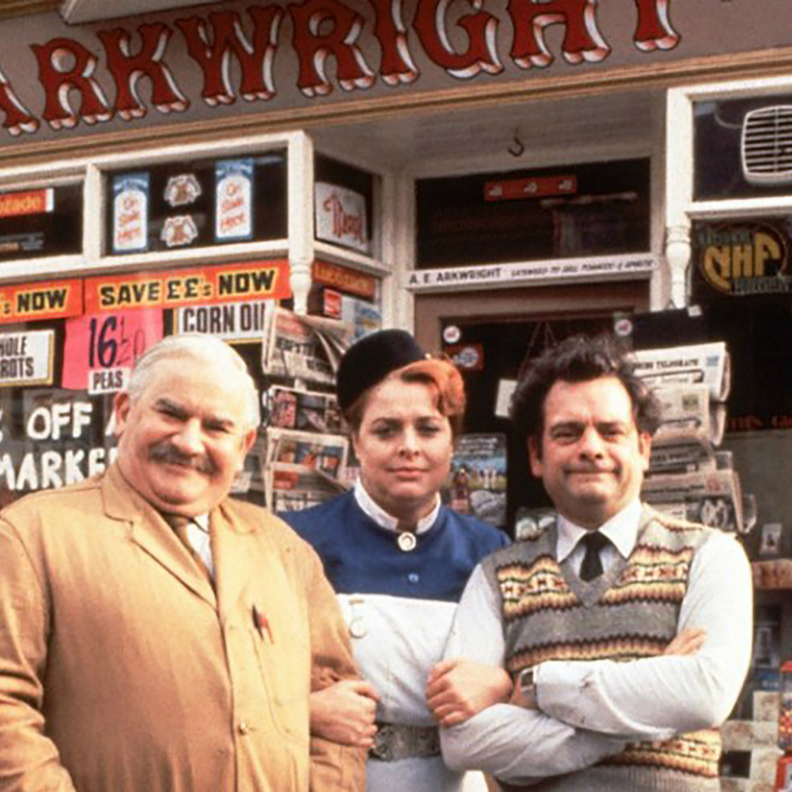 In TV sitcom terms, I am no longer Granville, I am Arkwright. Which makes my wife Amy, Nurse Gladys Emmanuel. Working nine hour days is not conducive to musical creativity however – I’m worn out. Had a day off today and managed to pick up my guitar for the first time in a fortnight. Ran through a few songs that I might be playing at this month’s upcoming gigs. Think I can still hit the same notes, vocally. Maybe it’s done me good not singing and playing every day. I’m hoping when things settle down my working pattern is gonna be two days on, one day off, and on that one day I’ll be able to really get stuck in to recording. Give me a bit of the focus that was perhaps lacking when I was only working a couple of days a week. It’s all about getting a work/life balance, and currently the scales have tipped from one imbalance to the opposite – from too much life and not enough work, to too much work and very little life. November and December are certainly shaping up that way, but hopefully things will even out come the New Year. So that’s me in the cornershop. Gary Stewart Smith: Singer. Songwriter. Shopkeeper. Has a certain ring to it, I suppose. 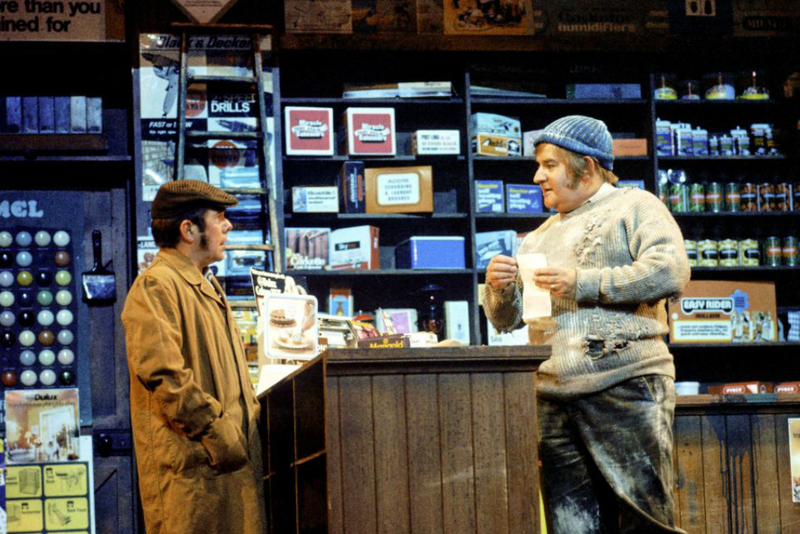 Perhaps I should have my own TV show: “The Singing Shopkeeper”. Can I write the theme tune? This entry was posted in ramblings and tagged four candles, Gary Stewart Smith, open all hours, Singer-songwriter, songwriter. Bookmark the permalink. You will need to perfect this line.